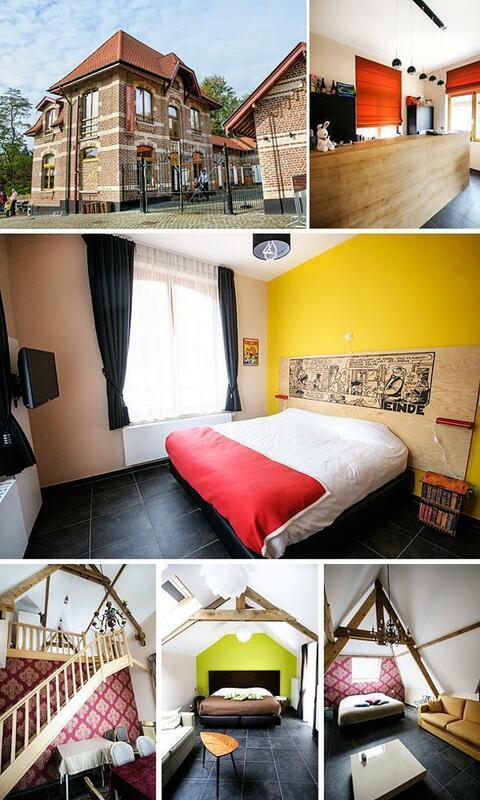 B&B Hippo-Droom, just outside central Brussels, Belgium, offers guests the chance to explore Hoeilaart and the Forêt de Soignes for a relaxing weekend escape. When most of us consider escaping to a Belgian forest for the weekend, the first place we think of is the Ardennes. However, we’ve recently discovered a forest escape a mere twenty minutes from central Brussels that feels an entire world away. The Forêt de Soignes stretches across all three regions of Belgium. 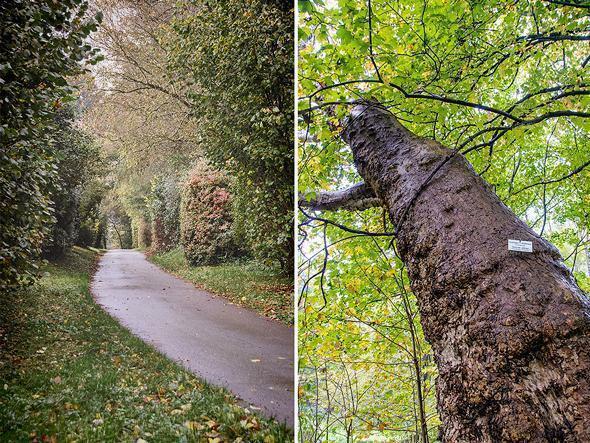 Known as the Sonian Forest in English, like most Brussels residents, we’ve always referred to the forest by its French name. However, more than half of the forest is maintained by Flanders, where it is known as Zoniënwoud. 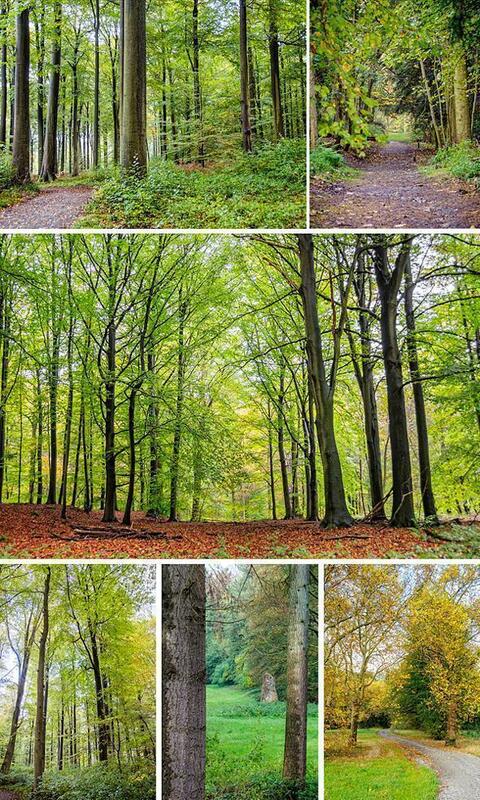 At one edge of this beautiful old growth forest, of beech and elm trees, is the municipality of Hoeilaart. 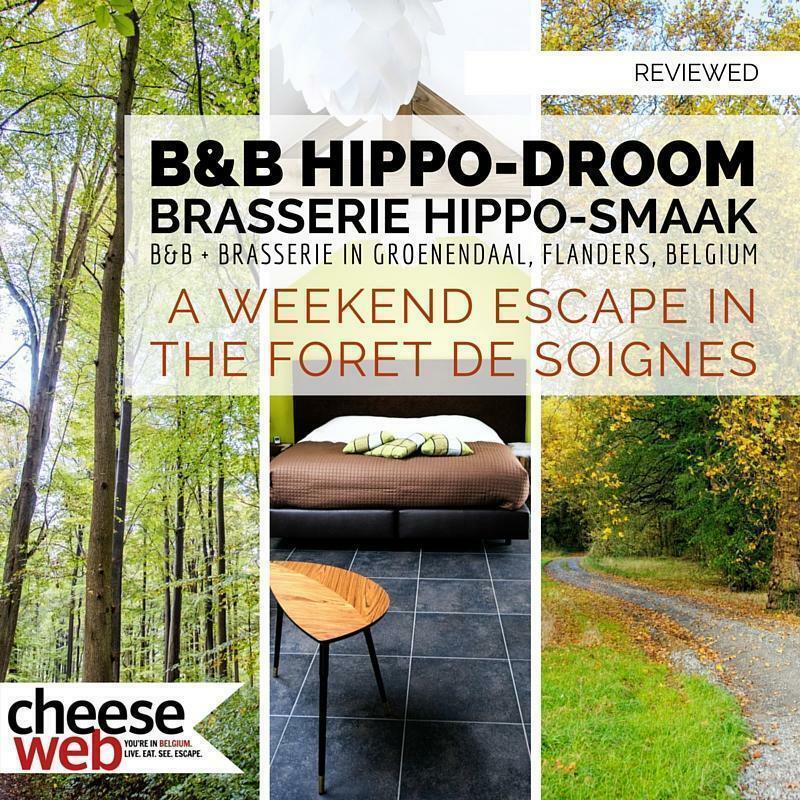 There, a five-minute walk from the Groenendael train station is the B&B Hippo-Droom – the warm and cosy base for our weekend in the Forêt de Soignes. I’ll admit, when I first heard of B&B Hippo-Droom’s opening, back in April, I had visions of dreaming hippopotami. But the animal featured at this B&B is, in fact, the horse. Rather than sleepy hippos, Hippo-Droom is a nod to the area’s history as a playground to the rich and famous of Brussels. The wealthy came to Hoeilaart on weekends to enjoy the champagne lifestyle at the nearby racetrack, or hippodrome. Although the Hippodrome itself is long gone, the area is still a haven for horse-lovers, with plenty of riding schools and equestrian-only trails through the forest. B&B Hippo-Droom is the first (and likely only) horse-friendly B&B we’ve visited. The building was once used to house jockeys and their rides, under one roof. These days the accommodations are much more comfortable (and a lot prettier too! ), but there are still a few stalls left, to house visiting equines. Each of the eight rooms is decorated with a different theme including Sonian forest animals, ‘sunny days’, gastronomy, sleeping under the trees, equestrian, local comic figure, Nero, a two level Belle-Epoque suite, and our room – featuring the history of the grape in Hoeilaart. 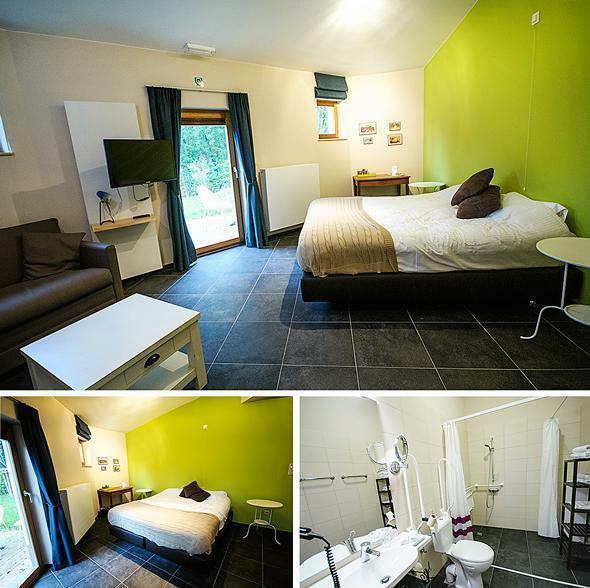 All rooms have coffee/tea facilities, free WiFi, and a smart flat-screen TV. Five rooms have private terraces. Each room also features both a bath and shower, except for ours, which was entirely accessible for those with limited mobility. Of course, we’re always interested in the food offerings where we stay. Hippo-Droom has this sorted too. Breakfasts are a tasty continental buffet, featuring bread and pastries from a local bakery, meats, cheeses, smoked salmon, fruit, and cereals. Beverages include tea, coffee, and fresh, locally produced juices. This summer also saw the opening of Hippo-Smaak, brasserie-style lunch offerings on the beautiful terrace, overlooking the forest. It’s a busy spot with locals and weekend walkers alike. The concept is clever and unique. Hot meals are prepared and delivered each day by a local chef. Using fresh, local ingredients, they are served in glass preserving jars, ready to be heated and enjoyed. Dishes include pasta, carbonnade, meatballs, and Andrew’s favourite vol au vent. 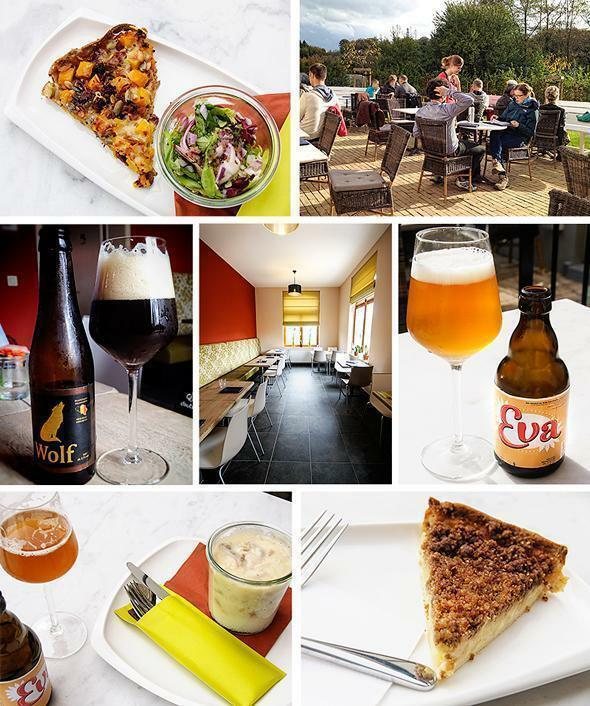 Brasserie Hippo-Smaak features fresh ingredients and a great selection of Belgian Beer! There is also a selection of beautiful quiches. I tried a beautiful autumn quiche of pumpkin, pumpkin seeds, raisins, and bacon. It tasted as gorgeous as it looked. But, as we all know, it’s the people behind the scenes who are the most important aspect of a great B&B stay. 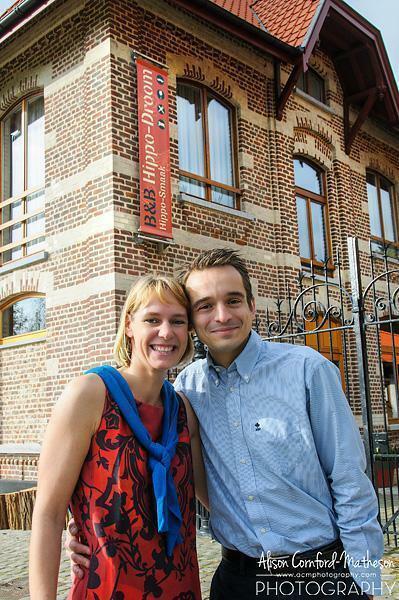 Davy Verbeke and Sophie Vercammen are everything we want in our ideal B&B hosts: They are warm, open and friendly, knowledgeable about the area, networked with the best local producers, and creative in their approach to business. We tapped into their network to learn more about the Forêt de Soignes and the town of Hoeilaart, in the form of a wonderful local guide, Brigitte D’Haese. We began our tour of Hoeilaart and Groenendaal right next door, at the Bosmuseum Jan Van Ruusbroec. 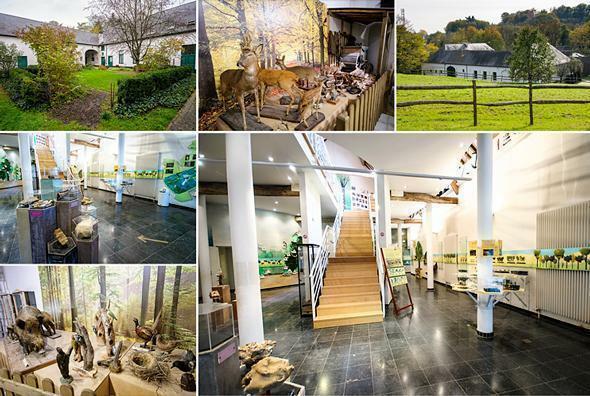 This little forest museum introduces the Forêt de Soignes, its flora and fauna, as well as the history of the area. The building itself is a converted farmstead, which was part of the 14th-century priory of Groenendaal. The museum is named for the first inhabitant, the mystic Jan Van Ruusbroec. Behind the Bosmuseum is the Groenendaal Arboretum, created by King Leopold II at the end of the 19th century. Here you can wander through more than 400 different trees and shrubs from around the world, easily identifiable by their ‘name tags.’ It’s an unusual experience to be standing under a giant redwood in the middle of Belgium! From the arboretum, we crossed the street and found ourselves in front of the Kasteel Groenendaal, on the grounds of the Groenendaal priory. Little remains of what was once a vast and powerful monastery. Jan Van Ruusbroec and two other canons left St. Michael and St. Gudula Cathedral in Brussels seeking a more peaceful existence. The monastery grew famous in the late 14th century, largely due to Jan Van Ruusbroec’s reputation as a spiritual guide and writer. In 1520, Philip of Cleves built a palace on the grounds, which was used by Charles V (he of the Ommegang Procession) as a hunting lodge. 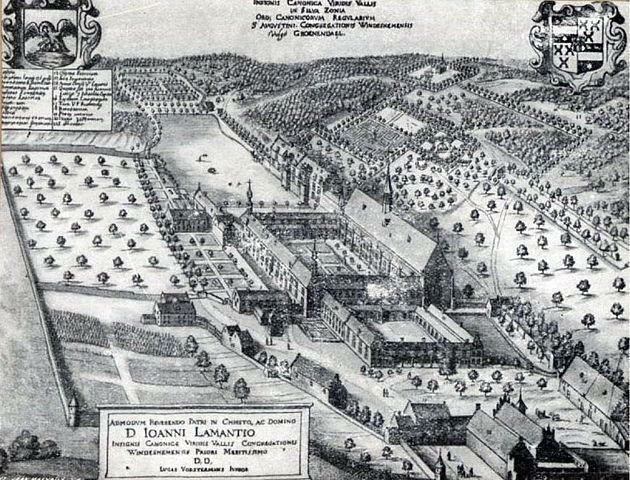 However, by the late 1700s, the monastery buildings were seen as useless and were torn down. Just beyond the site of the former priory, we enter into the woods and walk in the footsteps of the monks of the past. It’s easy to understand why they chose this spot to be close to nature as we wander under the stately trees. It doesn’t take long before we arrive at the ruins of a completely different site of pilgrimage – the Hippodrome that was once the playground of the upper class. Someone still mows the track, after all of these years, so it’s easy to imagine racehorses thundering past. It’s harder to imagine the high society parties once held here, by looking at what little remains of the stands. In 2013, all of the buildings were completely removed, except the small central section of the Royal Lodge. 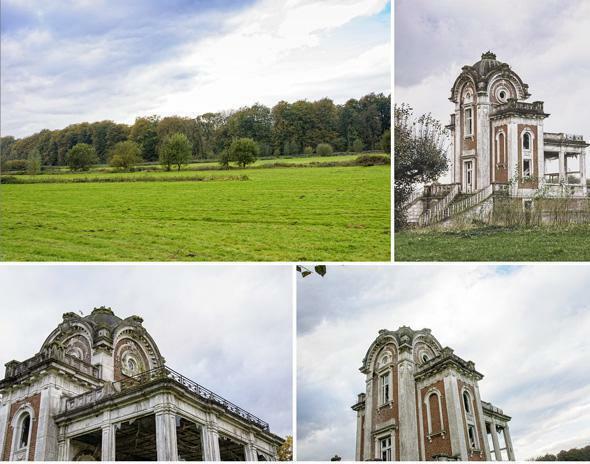 It’s truly a pity this beautiful building, an important piece of Groenedaal’s history has been left to ruin. Luckily there are restoration plans in the works for 2015. All of our walking had made us quite hungry, and our hosts at B&B Hippo-Droom had made our reservations at their favourite restaurant in Hoeilaart, Restaurant Victoria. This restaurant is a local secret and has been run by the same family since 1954. From the unassuming exterior, you’d never guess at the size of the huge dining room inside, or at the tasty, traditional Belgian dishes served here. The restaurant seems frozen in time. 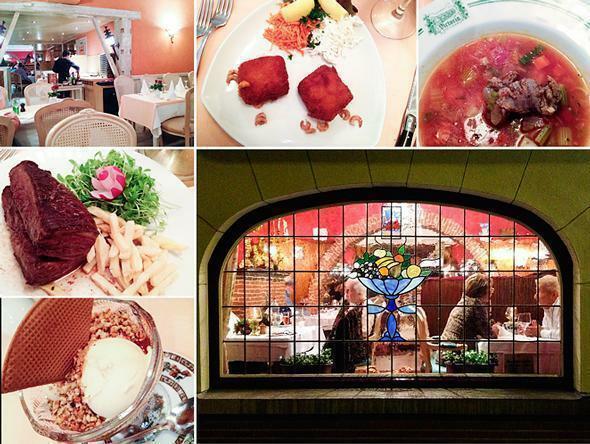 With its flowered curtains and big gilt picture frames, it’s a bit like sitting down to a meal at your granny’s house. You won’t get molecular cuisine here. What you will get are enormous portions of home-style cooking at very fair prices. We both opted for the 30 euro 3-course menu. I started with some of the best homemade shrimp croquettes I’ve eaten in Belgium thus far (and believe me, I’ve eaten my fair share!). Andrew ordered a bowl of soup, which came as the entire pot – a meal unto itself. We both chose ice-cream dishes for dessert, as the thought of stuffing more solid food into our bodies seemed impossible. Overall, restaurant Victoria offered a tasty, traditional, home-style meal, at a great price, with friendly, multi-lingual service. While it may seem odd to plan a weekend getaway a mere 20 minutes from home, Hoeilaart seems a word away from Brussels. There is plenty to do in the area, indoors and out, a unique and little-known history, great food, and a warm, welcoming place to lay your head at night. If you’re looking for an easy escape from the city, look no further than B&B Hippo-droom. Stay tuned next week for our look at Hoeilaart’s best-kept foodie secret. 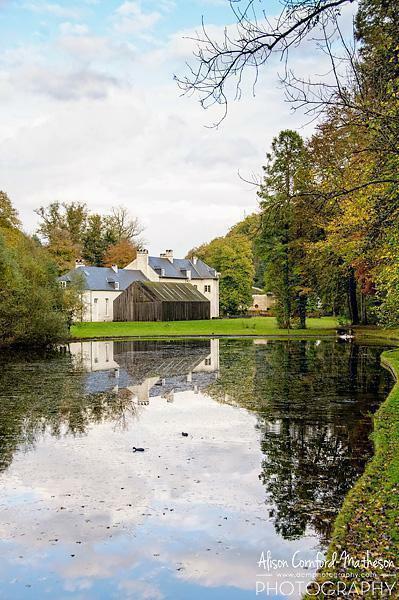 Looking for more of our favourite hotels in Belgium and beyond? Visit our Hotel Reviews page to find out where we’ve been sleeping. For more great restaurants in Belgium and beyond, check out our Restaurant Review page. We wouldn’t be able to do what we do without the generous support of our sponsors. We’d like to extend a huge thank you to Davy and Sophie for inviting us to stay at B&B Hippo-Droom and for being such warm and wonderful hosts. We at CheeseWeb are committed to always sharing our honest opinion of any product or service we write about, whether sponsored or not.